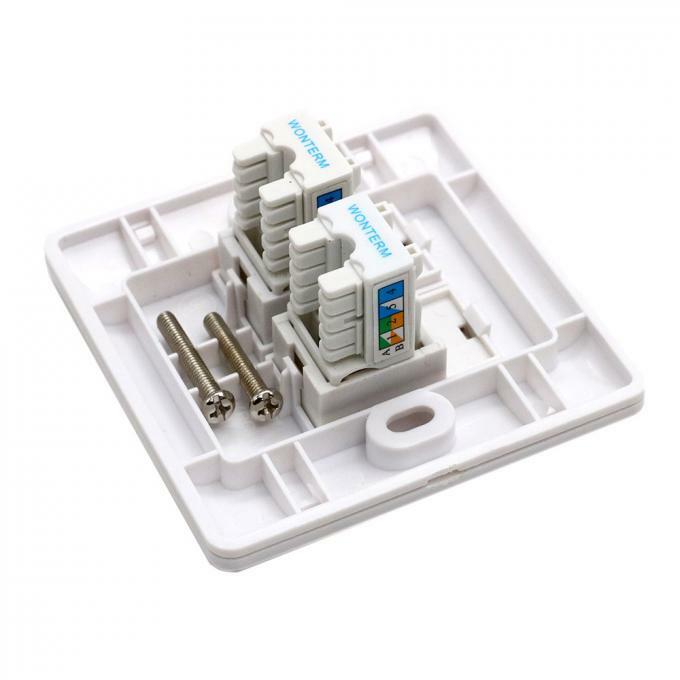 MATERIAL KEYSTONE JACK HOUSING: ABS+PC, UL 94-V0, WITH OPTIONAL COLOR. CONTACT BRACKET: PBT+GLASS FIBER, UL 94-V0, WITH BLACK COLOR. JACK CONTACT MATERIAL : PHOSPHOR BRONZE WITH NICKEL PLATED. JACK CONTACT FINISH : 50 MICRO-INCH GOLD PLATE ON PLUG CONTACT AREA. IDC TERMINAL:PHOSPHOR BRONZE WITH TIN PLATED. PERFORMANCE T568A & T568B WIRING. INSERTION FORCE: 20N max. (IEC 60603-7-5). RETENTION STRENGTH : 7.7KG BETWEEN JACK AND PLUG. OPERATING TEMPERATURE RANGE : -10 C TO 60 C.
STORAGE TEMPERATURE RANGE : -40 C TO 68 C.
THE CAT.6 TRANSMISSION PERFORMANCE IS IN COMPLIANCE WITH THE ANSI/TIA 568 C.2 STANDARD. 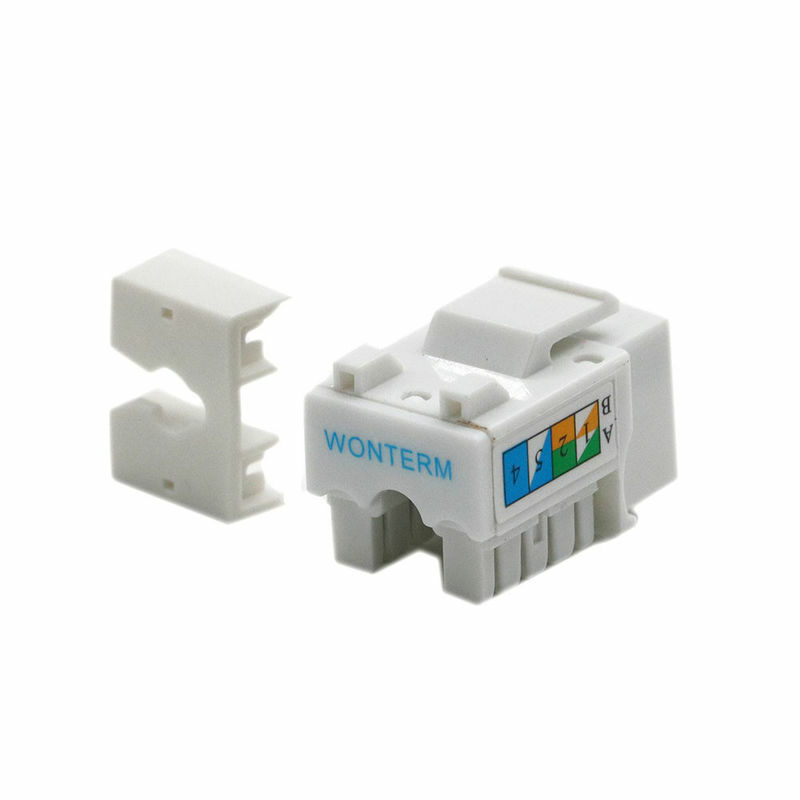 WONTERM Cat5E Keystone jack from EXW provide ultimate performance and durability, no matter what if they are used in a home network installation or being used to build up the largest data center, these Keystone jack will live up to the expectations time and time again. 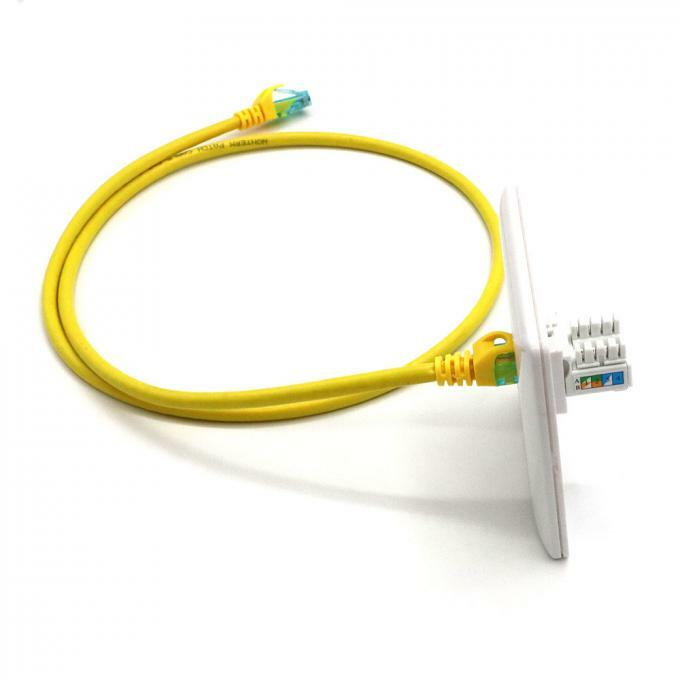 With our CAT5E total solution products applying with patch panels, keystone jacks, outlets, patch cords and verified cables, the performance could fulfill your high speed transmission requirements from telecommunication room to work area. Also, our products are all certified by UL and compliant with RoHS.